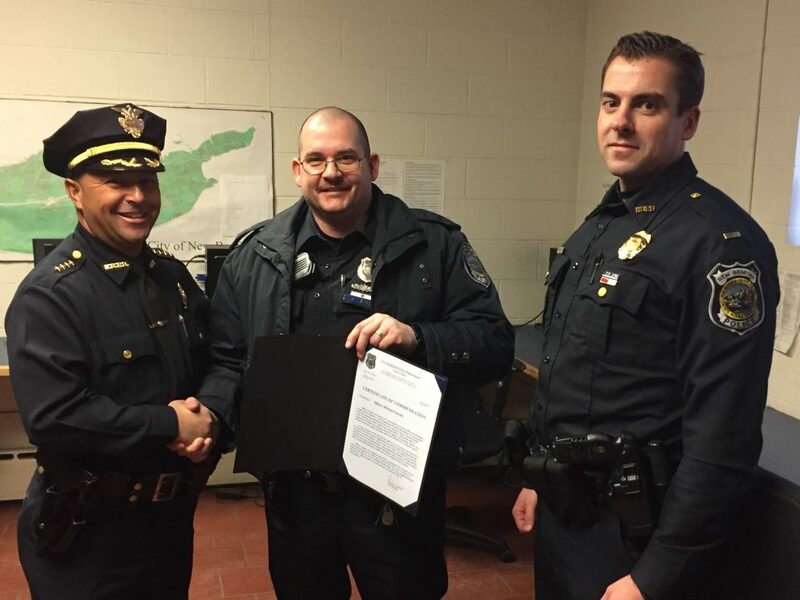 Congratulations to Officer Michael Cassidy, who received a certificate of commendation from Police Chief Joseph Cordeiro for his vigilance and commitment. During his off-duty hours, Officer Cassidy helped arrest three suspects in multiple cases of larceny of a motor vehicle and armed robbery. While driving home after his shift, Officer Cassidy observed one of the vehicles reported stolen being driven by one of the suspects. Officer Cassidy kept the vehicle under his surveillance, updating communications on its location. This resulted in a patrol stop of the vehicle and the arrest of the three suspects. Officer Cassidy’s dedication and willingness to go above and beyond the call of duty are admirable and deserves all of our thanks.